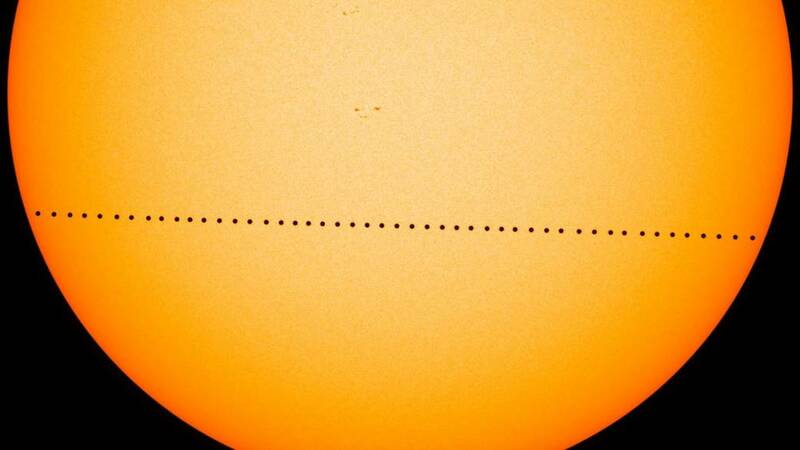 A transit of the planet Mercury as viewed from Earth occurs when Mercury passes between the Sun and the Earth. 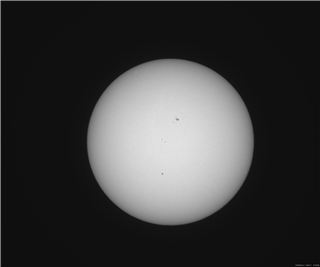 Mercury appears as a small black circle or dot projected onto the disk of the Sun and the entire event lasts several hours. 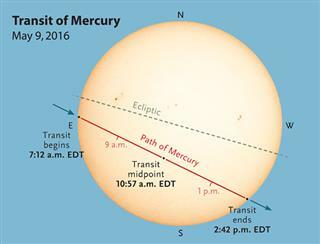 Typically 13 or 14 transits of Mercury occur per century and the two most recent ones were November 8, 2006 and May 9, 2016. The next one will take place on November 11, 2019. Figure 1: Sketch of the path Mercury's shadow followed during the May 9, 2016, transit. Figure 2: Image taken by Dr. Walter at 11:45 AM on May 9, 2016, from Orangeburg, South Carolina. Mercury is the tiny, circular dot near the bottom center of the image. 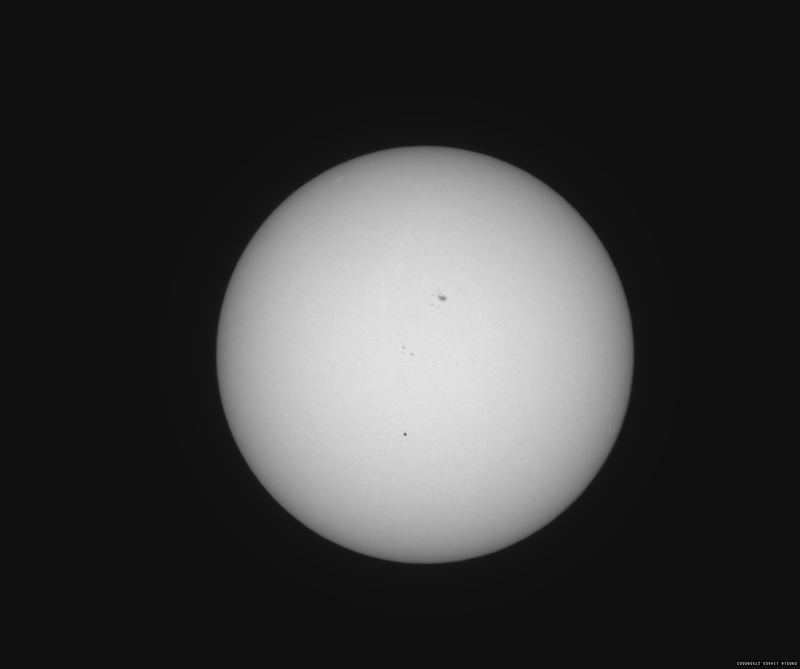 Sunspots on the surface of the Sun appear up and to the right of Mercury. Figure 3: A composite of several images of Mercury as it transited the disk taken by NASA's Solar Dynamics Observatory.